The reason the street style game at Copenhagen Fashion Week is so fierce right now? 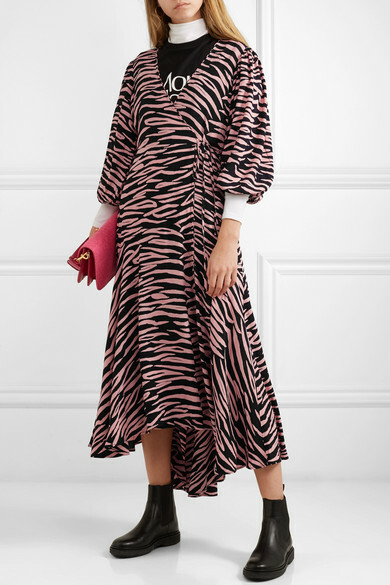 The city's stalwarts are never afraid to mix GANNI's bold prints and colors, resulting in the most eye-catching Instagram snaps. 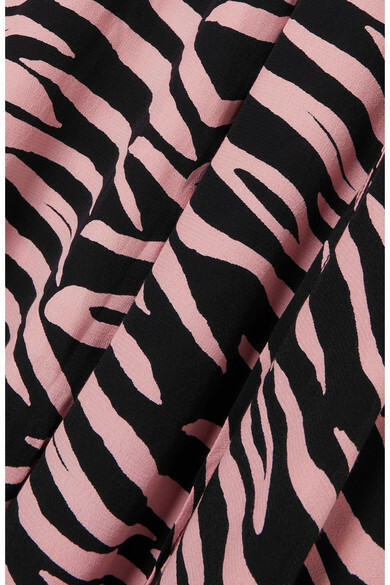 Designed with elasticated blouson sleeves and slender waist ties, this crepe de chine wrap dress is patterned with salmon and black zebra stripes. Layer yours over a T-shirt or turtleneck. Shown here with: Christopher Kane T-shirt, JW Anderson Shoulder bag, Isabel Marant Ankle boots, Wolford Bodysuit, Laura Lombardi Earrings.